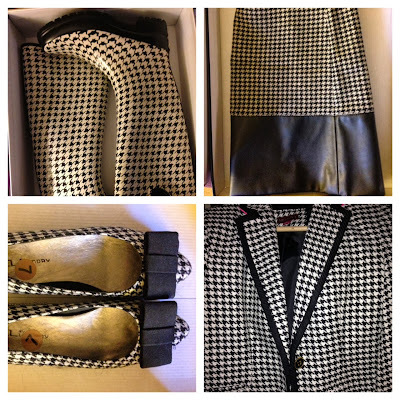 I'm starting to notice a pattern and the pattern indicates I like black and white and especially houndstooth. Since I don't have a camera, I am relying on my iPhone for pictures. I just discovered the picstitch app on my phone and I have been using it to create photo montages . On a somewhat related note, the person who broke into our house was caught and the police did recover our camera, but nothing else at this point. The camera, much to my surprise, contained pictures of the thief engaged in many nefarious acts. Hopefully when the detectives are done with the case and the camera it will be brought back, although quite frankly I think I am ready for a new one. I needed a new camera anyway so this robbery will serve as the impetus to go camera shopping sometime in the near future. While I might enjoy taking photos of my fashion, houndstooth or otherwise, my favorite subject is most certainly William. 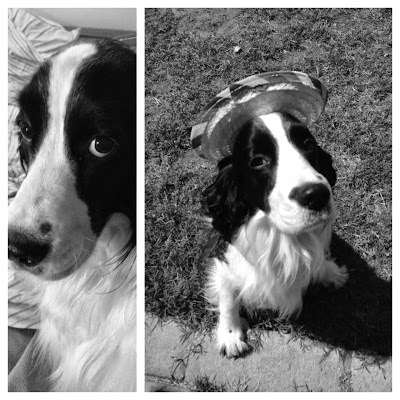 He is naturally black and white so that's just perfect for me. William also looks great in every picture as he is also naturally photogenic. I wish I could say that about myself! I'm glad you've been able to get at least something recovered - though I'd want to get a new camera now too! Yes, the new camera has already been ordered! Houndstooth! So old school. I love it. Sorry about the break in. Must have been scary! 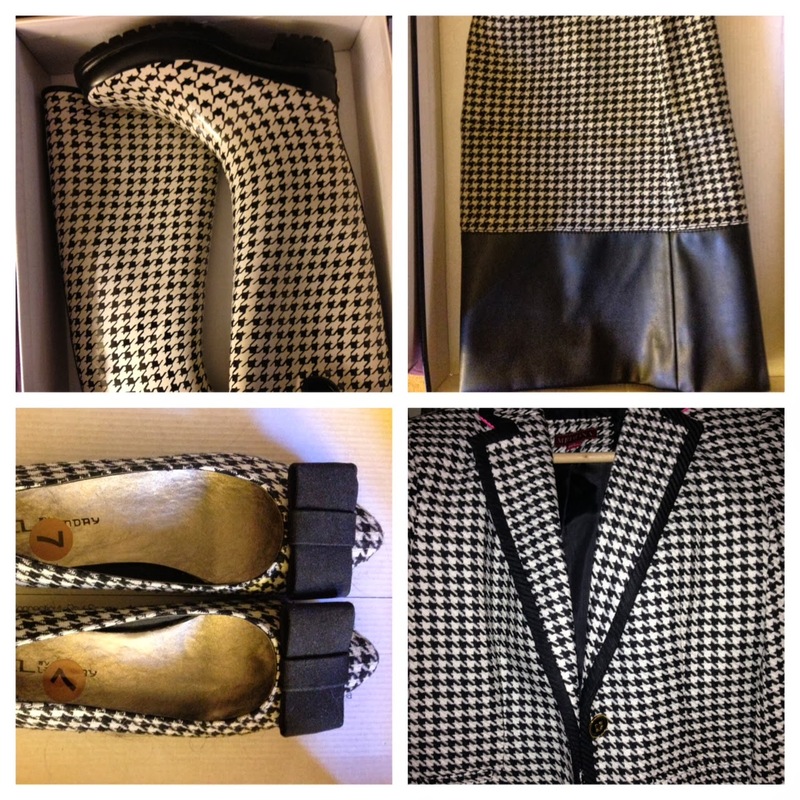 I can't get enough of houndstooth! Thanks for your kind wishes about the break in. It was definitely a scary experience.